Liam Neeson is driven to revenge in Taken 2. 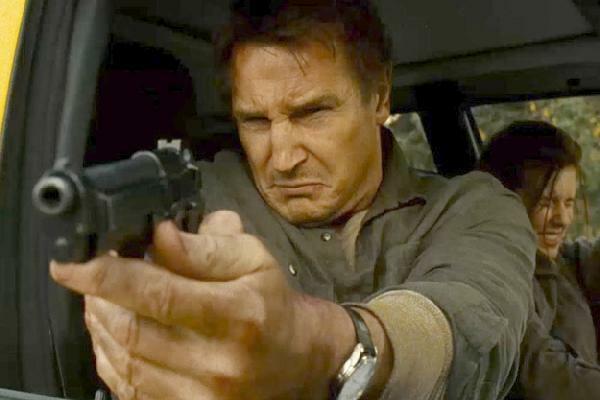 Liam Neeson (The Grey) returns as a retired CIA agent who stops at nothing and uses his “particular set of skills” to right the wrongs that have been perpetrated on his family in the action-thriller film Taken 2, a sequel to the 2008 box office smash Taken. When the father of one of the villains former operative Bryan Mills (Neeson) killed swears revenge, and takes him and his wife (Famke Janssen, X-Men) hostage in Istanbul, Mills must enlist the help of Kim (Maggie Grace, Faster) to escape. Bryan then employs his unique tactics to get his family to safety and systematically take out the kidnappers, one by one. Directed by Olivier Megaton (Colombiana) and produced by Luc Besson (who also produced Colombiana and Lockout, as well as the first Taken film), Taken 2 rang up $135 million at the domestic box office when it was released wide in theaters in October, 2012. The Blu-ray edition of Taken 2 features an unrated cut of the film as well as the theatrical cut, while the DVD only includes only the R-rated theatrical version.